Corsets, petticoats, trousers galore! Peel aside the layers that separate us from our Edwardian counterparts. 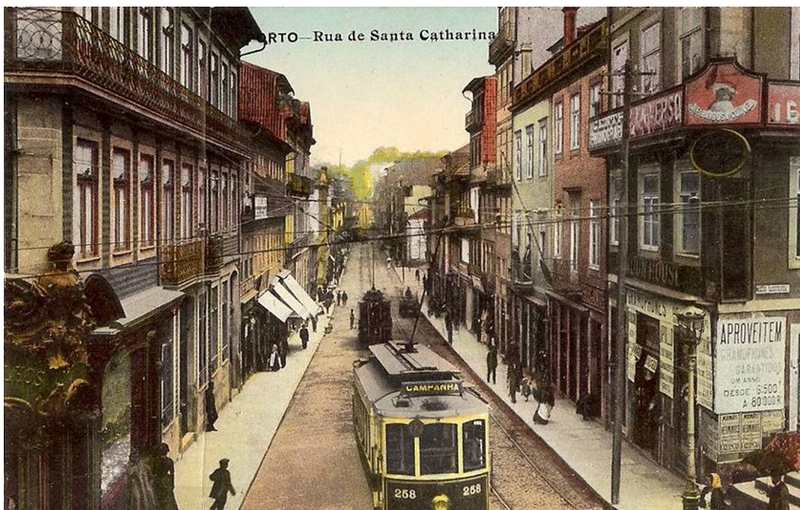 I bring you some photographs of the city I was born in, Porto (or Oporto), in Portugal, from around the Edwardian Era. This is the second biggest city in Portugal, and one with a very rich history. It is known as the “Cidade Invicta”, or the “Unvanquished City”, for standing undefeated against many invasions. 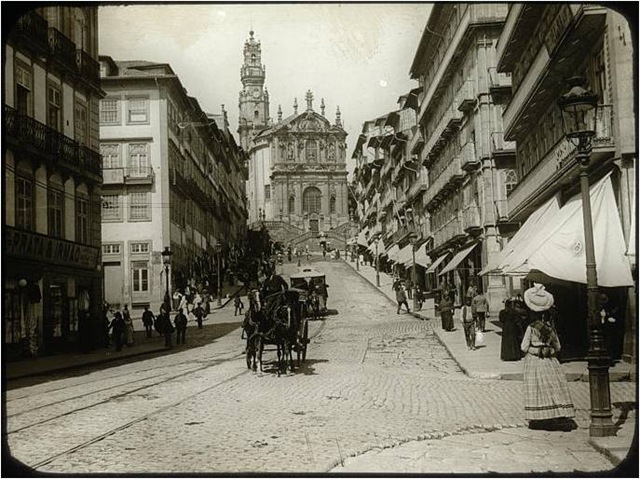 In 1911 there were almost 190 000 people living in Porto, a city that gathered a lot of merchants and artists. Only one year before Portugal had had a revolution that put an end to the Monarchy and started the First Portuguese Republic, which would last for almost two decades. Since the city rests by the sea, its population was always very trade oriented, and it had a large bourgeois class (as opposite to Lisbon, the capital, where the nobility and the politicians lived). 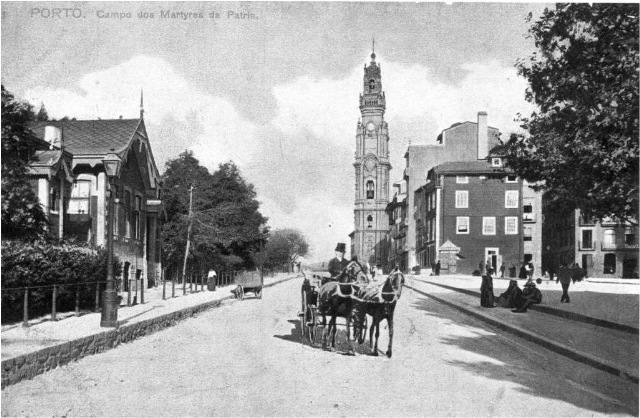 In the 19th century the city had a industrial revolution and turned itself into a very important hub in the Atlantic. This made it so many artists and creators of some sort went to Porto at least once. This bridge, for example, was built by Gustave Eiffel, known for the Eiffel Tower and the Statue of Liberty. 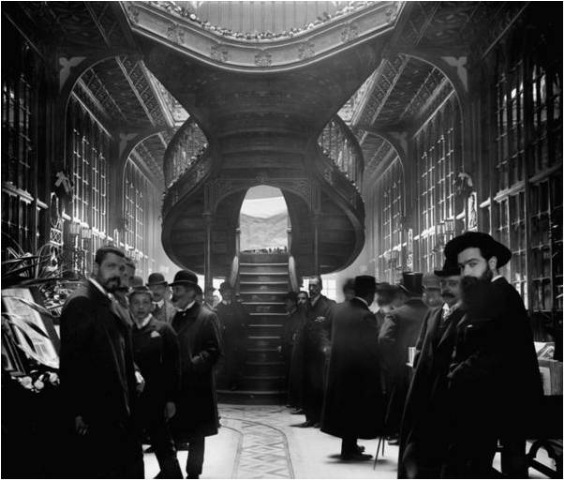 This affluence turned Porto into a modern city, with a lot of caffés, theaters, bookshops, gardens, fairs, and exhibitions. The outskirts of the city, though, were still very dedicated to agriculture (although decreasingly so). 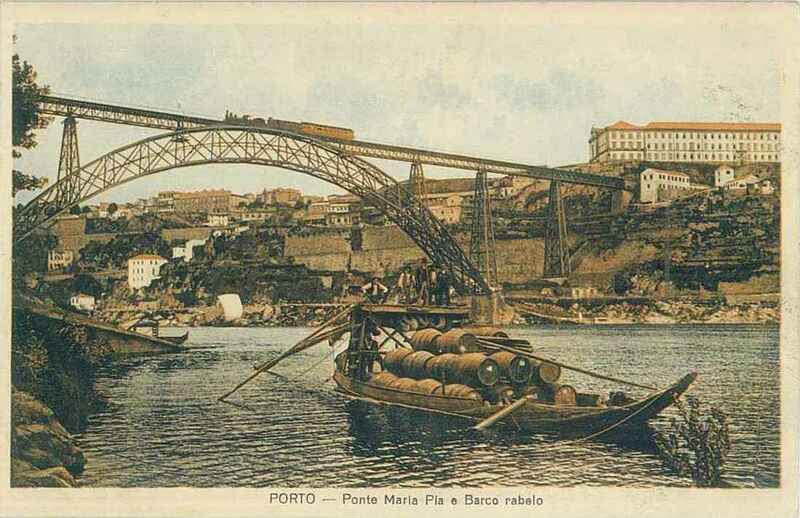 It was there that the famous Oporto wine was made, and still is, and the beverage was already one of the main trades of the city, and even the country. And finally, some illustrations and older photographs of this quaint city by the river. I hope you liked this gallery! It is distinctly depressing to contemplate the purchase of warm garments for cool days before the summer has left us; and though in September we may reasonably expect a. short spell of what is known as an Indian summer, we are obliged to take cool mornings and evenings into consideration. September is essentially a holiday month, and we like, if possible, to wear out our summer clothes, and to utilise the garments we already possess, in order that we may save our allowances in view of indulging in autumn fashions next month. Fashions are always changing, and the powers that regulate La Mode could certainly not allow even the holiday month of the year to pass without introducing novelties of some kind; and though, perhaps, it is heresy to say so, I must warn you against September modes, which often die ere October dawns. 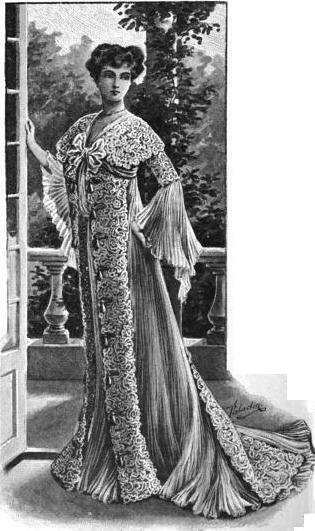 September is an excellent month to replenish one’s wardrobe as far as “things unseen” are concerned—dressing-gowns, peignoirs, bed-jackets, nightdresses, and warm undergarments in general, taking into consideration that the summer is practically over. 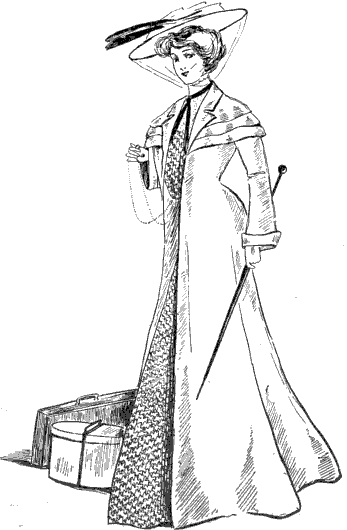 Many smart dust-cloaks and travelling-wraps are made in the Empire and military styles. There is no doubt that the long coat, or what is properly known as the coat wrap, will play a great part in our autumnal fashions. Indeed, it has done so for some time past, and the alpaca dust-coats that did duty in the summer were all cut with a style and chic hitherto unknown in the world of wraps. The three-quarter sac is a favourite wrap, and there are many ways of treating it. In the early part of the season it was distinctly Japanese, cut in the kimono shape, and finished with tassels. 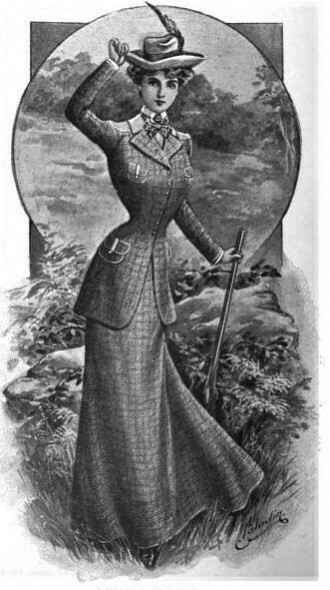 But for the autumn we want more sportsmanlike garments; therefore most of the tweed three-quarter length wraps have the sleeves cut right into the shoulder after the fashion of a man’s waterproof. Many of these are finished with a velvet collar, which I always think just saves a wrap of this description from being hard and unbecoming. Still, it is better to have a thing a little less becoming than incongruous where country clothes are concerned. Chiffony chiffons and flimsy, windblown garments look horribly out of place on an Irish bog or Scotch moor. In Paris the bright tones of emerald green are giving place to a new pastel shade, which will come more into prominence as the autumn advances. On almost every frock there is a touch of black velvet—a pretty fashion of which the intelligent woman never seems to tire. This is particularly noticeable on hats, and millinery is more alluring than ever. Let me implore all women of fashion to leave their picture-hats and beflowered and befeathered millinery at home. Feathers will come in on a future occasion, but they are not suitable for the country in September. [T]here is a perfect craze for Panama hats. If you must have one, have a good one. I think that every woman who has passed her first youth should soften the brim of her hat by a touch of black velvet or a draping of lace. The chief point of the Panama is its lightness, and this is of great importance in travelling headgear. It is to the influence of the motor-car and of the hobble skirt that we owe the marvellous array of delightfully pretty boots and shoes that now form an essential part of the well-dressed woman’s toilette. The Parisienne, who has always made a particular point of clothing her feet daintily, favours boots as a rule, because of their neatness; while the Englishwoman is more prone to the wearing of shoes. When the hobble skirt, cut extraordinarily short, made its appearance it was realised that more particular attention than ever would be focussed upon the feet, and then it was that the boot and shoe makers put forth their best endeavours, and brought to light the beautiful specimens of footgear that are to be seen now. 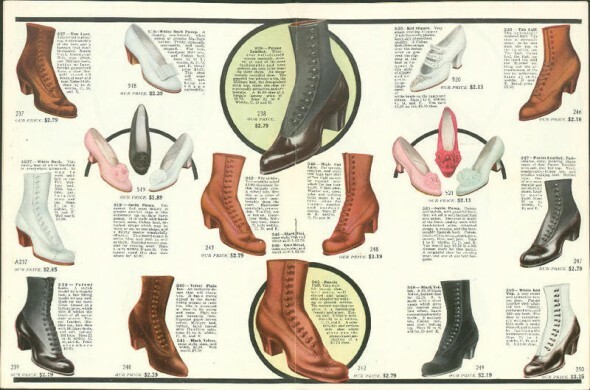 Into the limbo of forgotten things has gone the vogue for humdrum black leather boots and shoes, and in every wardrobe are to be found coloured footgear, as well as daintily soft suede specimens of shoes and boots, in some instances allied to patent leather, and in others to calf. Since the motor-car became perfected and reliable it has been the pleasure of luxury-loving women to wear black velvet shoes whilst driving, and even whilst walking a short distance upon clean pavements and in the park parterre. Following that vogue, has come one for brocaded satin and cashmere shoes which are to be fashionable for winter wear, though for wet walks and country mire they are changed for boots with leather vamps and suede or cloth uppers, and a heavier sole. The salutary lesson has been well learned in modern times that it is not only right but possible to find comfortable foot leather. It was a startling revelation to the woman who pinched her feet to learn, as she did within recent years from the beauty specialists, that tight boots meant wrinkled faces, haggard eyes, and a miserable frame of mind. That this is so everyone realises, and the boot and shoe makers having been aroused to a sense of their duties, now produce their wares not only in a few sizes but in many and in every kind of shape, so that the foot in all its varieties of form can be fitted perfectly. Still, it is customary in many families to have specially made footgear, and lasts are kept and bows and buckles form a finish. Heelless dancing sandals are much in favour, while suede, calf, kid, and patent leather are all utilised in modern footgear. Every pastime, such as golf, skating, hockey, shooting, and climbing brings with it the necessity of special footgear. Upon the links women wear laced boots with high top pieces buttoned at one side; and for hockey and other sports similar sturdy footgear. It is declared that much outdoor exercise has enlarged the size of the feet of the present generation of girls. This fact has not been without advantage to the makers of boots and shoes, who have been obliged to turn their attention to the production of elegance despite physical drawbacks, and thus it comes to pass that the footgear of the present day is quite as beautiful as that of other centuries, when boots and shoes were representative of the artistry of the craftsman. No material seems too delicate for the modern shoemaker to handle. Cinderella’s glass slippers were scarcely less fragile than a pair made entirely of feathers of the tiniest possible size, in the graduated colours of the pheasant. On the other hand, there are fur-edged and fur-lined boots, some with the buttonholes rimmed with fur, a new freak, and an amusing evidence of the present supremacy of fur. 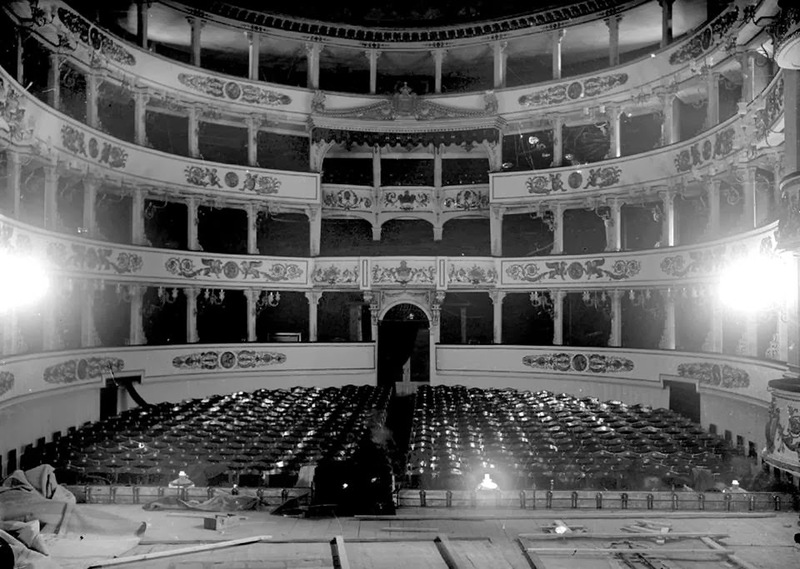 And in between these extremes there are myriads of patterns of fleeting or permanent interest; patterns with barred and buttoned fronts, patterns of the old Cavalier design, splendid with big buckles, and mules of quilted silk for the boudoir, with a little bunch of flowers instead of a bow decoration; overshoes for frosty days, and for the rain the ever-faithful galosh.